We were picked up by a van from out hotel at 4:40am. 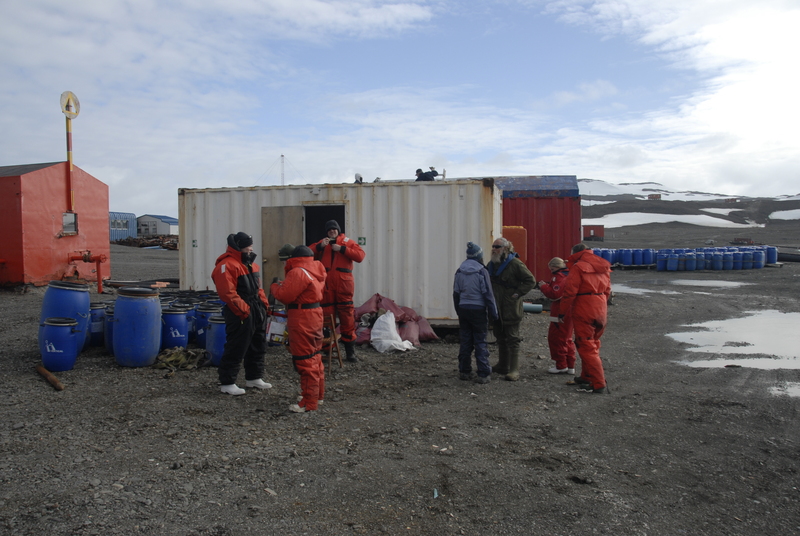 We then made two more stops at two other hotels to pick up the other 4 people for our expedition to Antarctica. There was one couple from London (in their thirtees) and Dad/daughter from Minnesota. 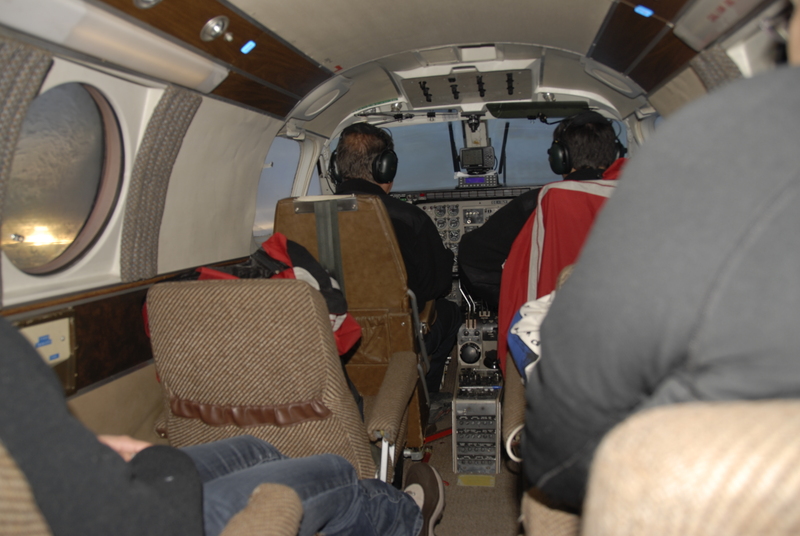 Six of us and two pilots left on small 10-seat plane on time at 6am and were in the air from 3 hours. 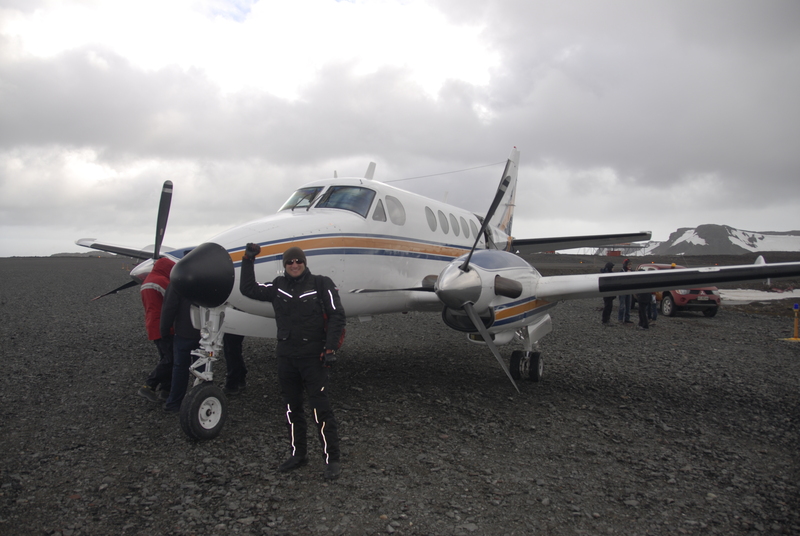 The plane landed at 9am on a short gravel runway on King George Island where we were met by Alejo, our tour guide, and his daughter, Josephina. 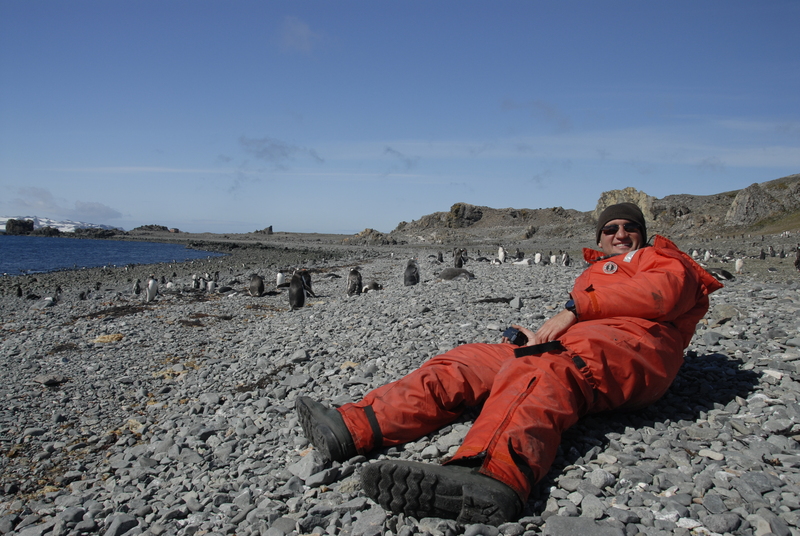 Alejo spent 3 years in Antarctica and knew it very well. 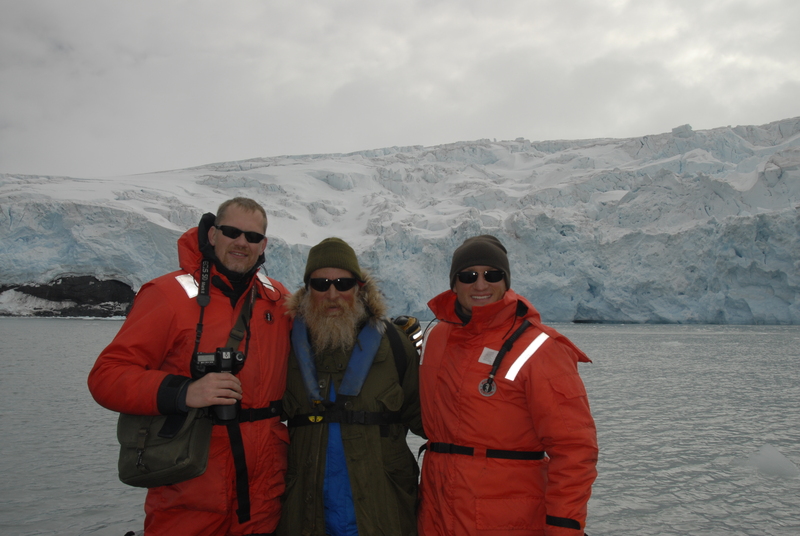 He was an excellent guide and knew all the places to visit and understood the weather changes in case we needed to leave Antarctica earlier in case of sudden weather changes, which occur frequently. 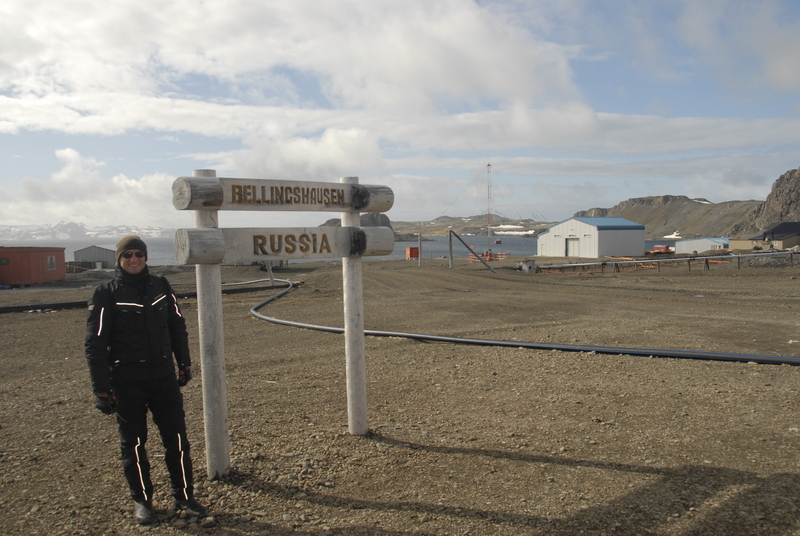 Alejo gave us a brief tour of the main station areas where the Chilean and the Russian Research stations were located. All building were built out of what looked like metal containers and welded together to create one-story buildings. 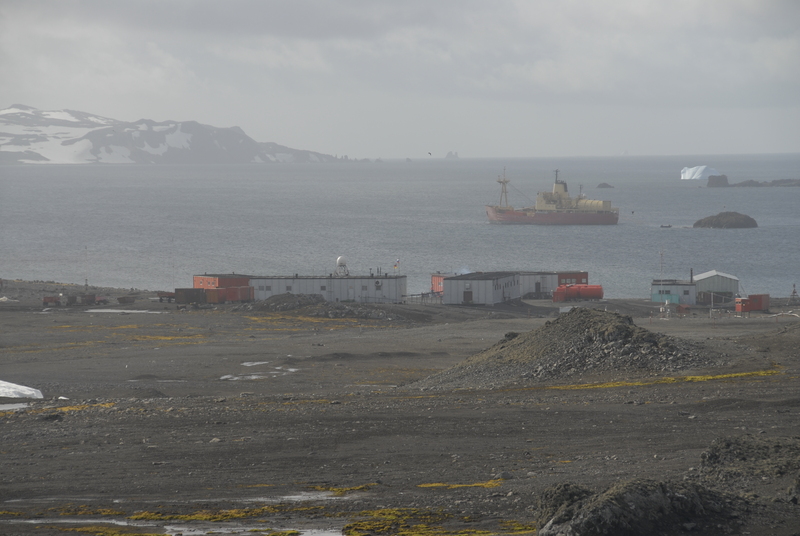 The Chilean base is the largest on the island followed by the Russian research station. 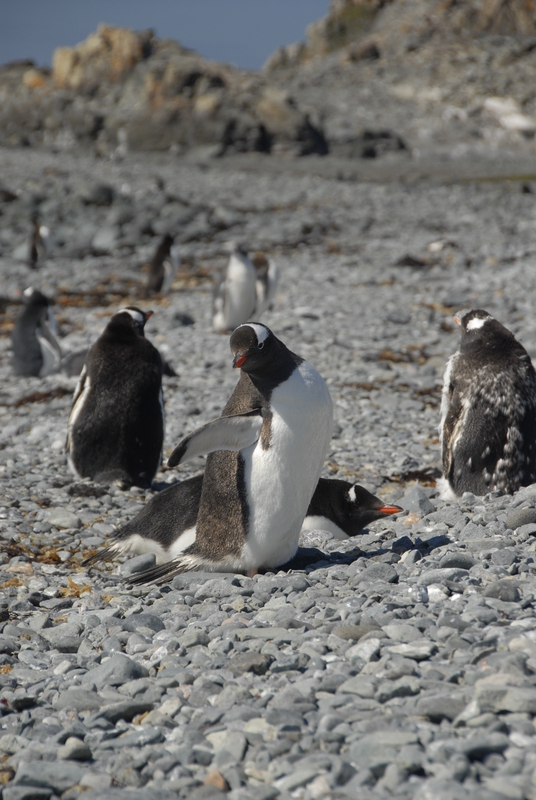 There are a total of 8 countries permanently represented in Antarctica throughout the year for a total of about 250 people. Only 80 people stay in Antarctica in winter months (about 10 people from each of the 8 countries). 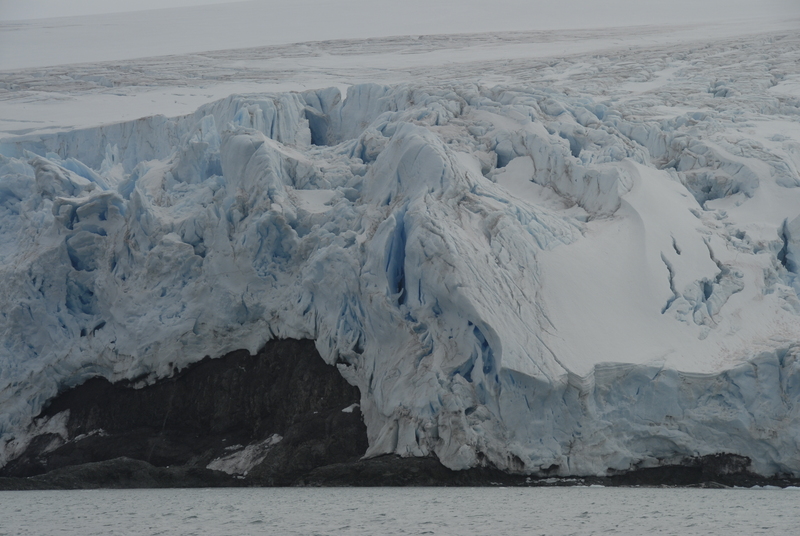 We left on a small motor boat around 10:30am to see the glacier. All of us were given orange suits and special boots to help with the wind. December through February is considered summer here with temperatures of -5C on average (and -10C with the windshield factor). The glacier view was grand. We were surrounded by icebergs in the middle of the ocean. The temperature of the water was -3C, which kills a person in less than 10 minutes. We saw a hump whale, which is something that happens fairly irregular. The whale was immense and moved slowly in the ocean immersing in the ocean with his large tail. We took some nice photos. 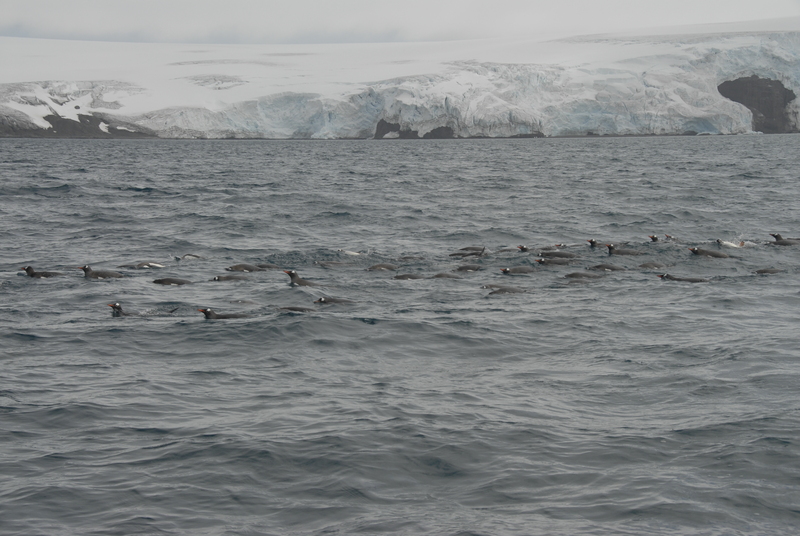 Dozens of pinguins were swimming around us. They seemed to be very happy to see the infrequent visitors. 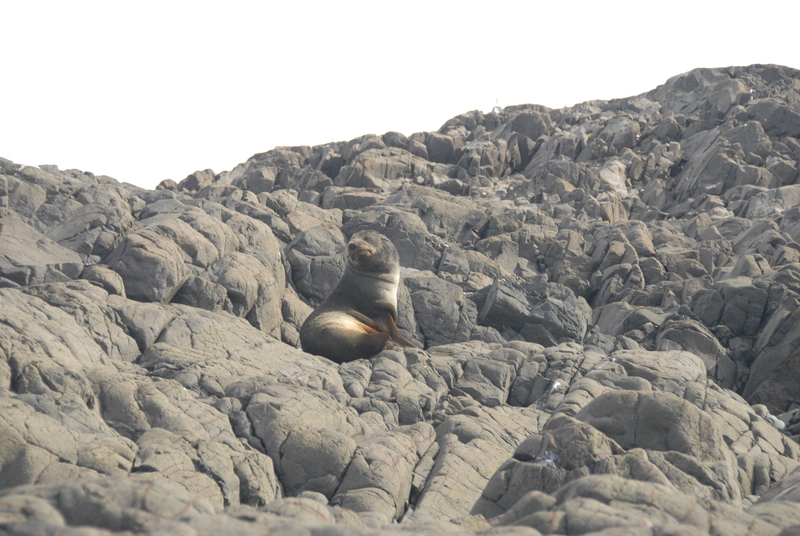 We then went on the shore where we saw the fur seal that was just sitting on rocks and observing us. 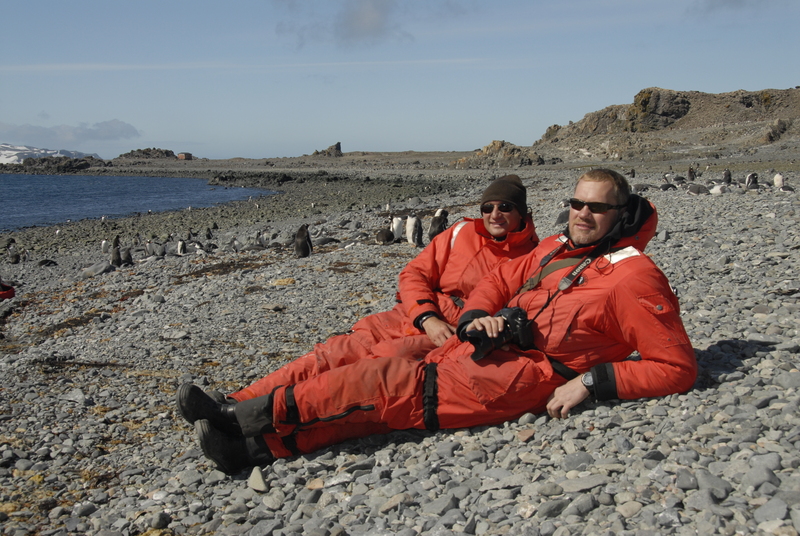 Gintaras took a pictures of Vadim with the seal. It was amazing. 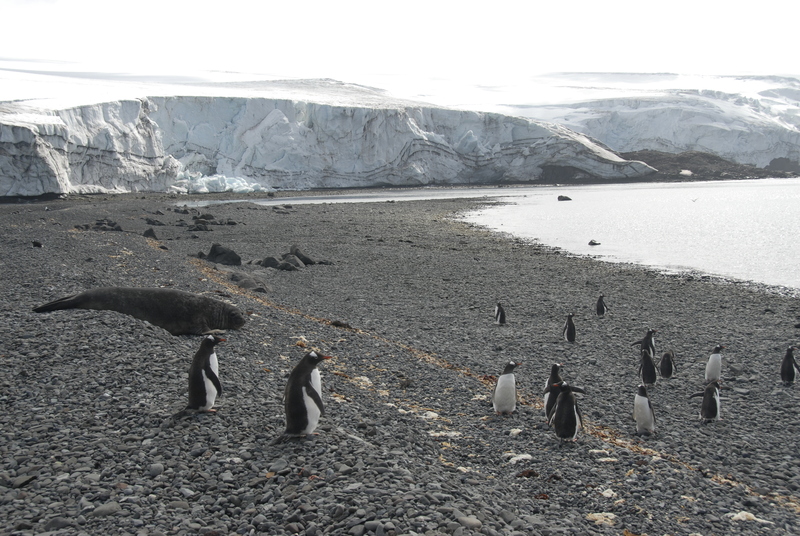 There are no animals living in Antarctica other than the seals that come on shore. The only flora of Antarctica consists of what looks like moth. 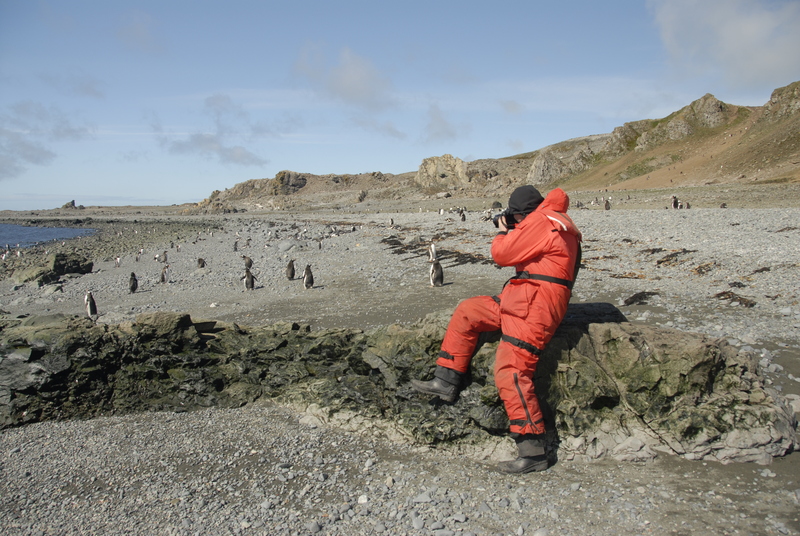 After our first adventure, we went on other side of the island to see the penguins on the shore. 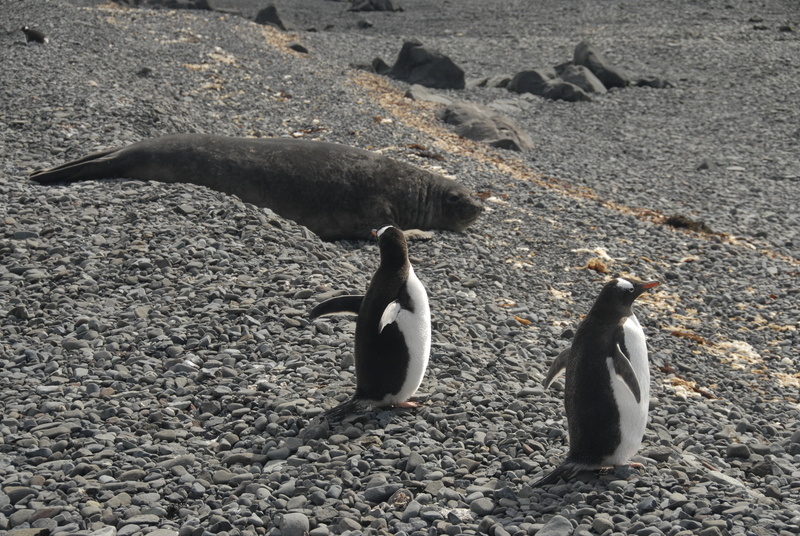 We were able to approach them very close. They did not seem to be scared of us but, on the opposite, show curiosity. 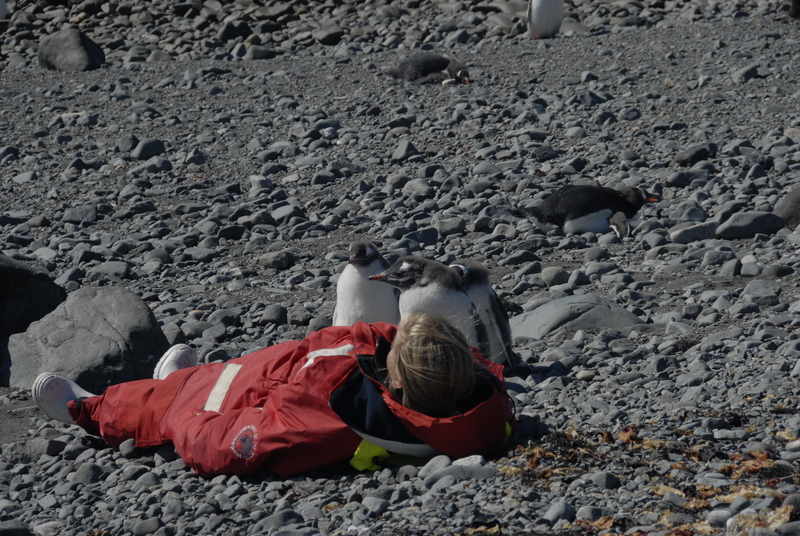 There were hundreds of penguins on the rocky beach resting on the sun with their little ones. It was an experience of a life-time to be there. It’s hard to describe the feeling of joy and pure unbelief that this is really happening. After the penguin observation, it started to drizzle and wind picked up its speed. 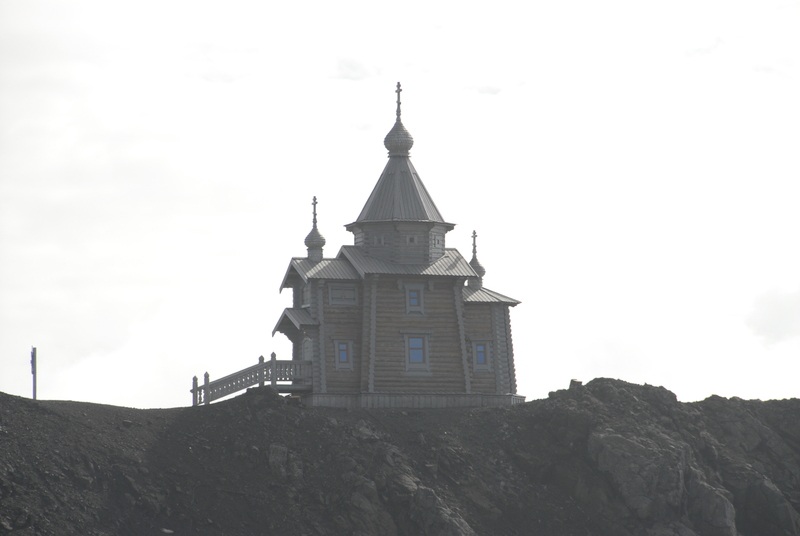 Alejo told everyone to get in the boat and head to the main station, where he took us to the Russian Orthodox Church, a beautiful wooden structure that was build in Russia in Altai and transported to Antarctica in pieces in 2004. We went inside of the church. It felt very inviting, warm and safe from harsh outside conditions. We met the two Russian church servants that were surprised but happy to see the Russian speaking visitors. The weather cleared up a little and we were allowed to go for our last adventure on the other side of the island where we saw a few dozens of elephant seals. They were large in size and layesd peacefully on the shore. We took some nice pictures. Upon return, to the main station we got on the plane and left the island as the weather started to change. 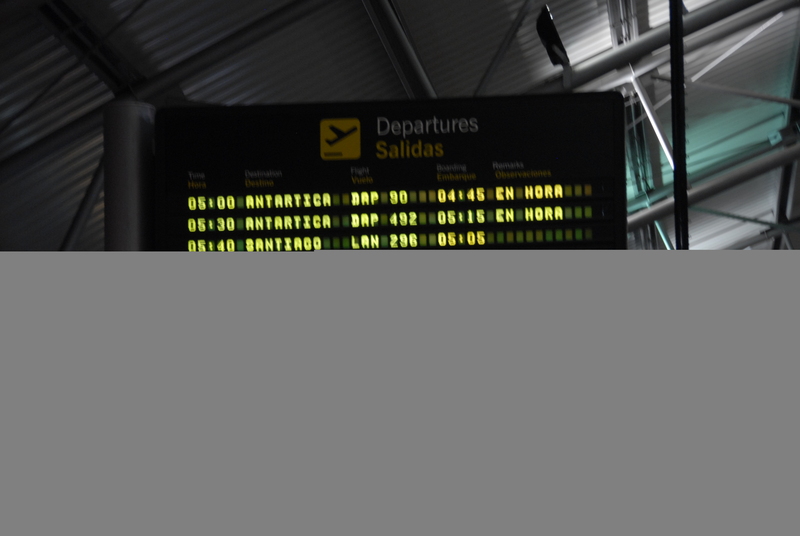 We traveled 4 hours back to Punta Arenas, where we started, because of strong head winds. We arrived to the airport at 8pm. The expedition was amazing and we will never forget this unique visit to the sixth continent. 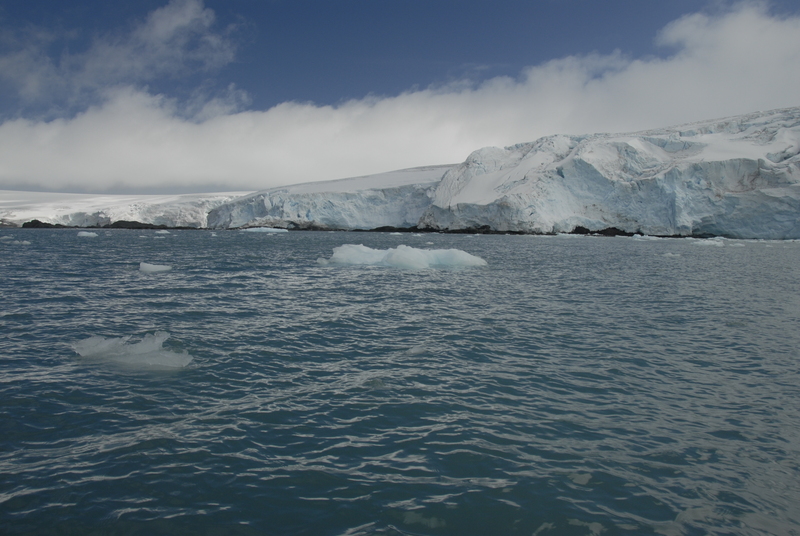 We suggest everyone to see Antarctica if the opportunity presents itself. You will not regret it!